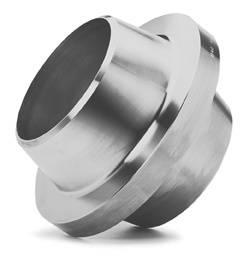 ANCHOR FLANGES | WFI International, Inc.
Anchor flanges are important elements in many thrust-control systems, especially those protecting pipeline pumping stations. Welded into the line and encased in concrete, they immobilize the pipe at predetermined locations and transfer built-up stresses to external structures. For example, in cross-county pipelines end forces of considerable magnitude are generated by internal pressure and temperature changes. A 24" O.D. x 0.594" wall pipe in a pipeline operating at 1100 psi and subjected to a 90° rise in metal temperature, for example, will develop total thrust of 1,000,000 lbs. Unless these forces are properly controlled, they can damage pumps, valves and other close-tolerance equipment. Anchor Flanges may be used to secure subsea piping and risers to platform structures.